Computer services ads in Australia. Thank you for visiting our free advertising website Computer services, Australia section. We provide high response free classifieds and free advertisement. Use our online free Computer services classifieds placement system to find, list, offer Computer services online! At GISBORNE Phone & Computer Repair, We provide trustworthy premium quality Computer Repair service in Woodend. We have skilled and experienced technicians. We, also offer iPhone, Laptop, Apple, and Mac Repair services at best prices. Our services areas including Gisborne, Bullengarook, Sunbury, Mount Macedon, Riddells Creek, Kyneton, Romsey, Lancefield, and Trentham. lock it down is committed to the prevention of the theft of IT equipment. Our product range is suitable for anyone from home users to large organisations. Their level of service and understanding our our requirements has always been excellent as we've been using their lock down kits for over 10 years. Wire-IT Solutions | are the two major concerns of individuals are businesses across the globe. Network security is any activity designed to protect the usability and integrity of your network and data. It includes both hardware and software technologies. Effective network security manages access to the network. Impact SEO ; Best digital Marketing agency Our Impact SEO Company Have 6 Years’ Experience. It Is One Of The Best Digital Marketing Company. We Provide Digital Marketing Services Like SEO, SMO, PPC, Google Ads, Bing Ads, Linkedin Ads, Video Marketing And All Other Promotional Services For Your Business. Do you have a small business and you want to sell products online to earn more profit? You should make a website on Shopify. It is a best platform for online product selling. Bottrell Media is here giving you professional help with best Shopify website development Sydney. You can call for more info: 1300 788 491 or check the website: https://www. Are you searching for reliable computer repairs in Melbourne? Then DF IT Solutions delivers computer repairs by industry trained and certified technicians as well as computer help to customers all across Melbourne. We specialize in computer, laptop & Mac repairs in Melbourne. We offer quick computer repair and maintenance service as well as efficient and easy to understand on-site help and support for home users and businesses. If your Apple iphone is out of warranty and your have Need Apple iphone Screen Repair the Range Compute Your World is the apple authorised service centre in adelaide.We hold a large range of current model parts and most phones can be fixed. Call us (08) 8461 9552 for services across Adelaide..
Computer and laptop repairs in Adelaide, South Australia? Compute Your World Provides Computer Repairs Adelaide South. we can help with laptop repairs, Data Recovery, IT Support, For any query then Call us (08) 8461 9552 any time 24/7..
Find mobile phone repairs morphett vale? Compute Your World is the best Mobile Phone Repair Center in Adelaide. If you have any Technical issues then Call us (08) 8461 9552 for services across Adelaide. https://www.computeyourworld.com.au/services/phone-tablet-repairs. Looking for Laptop and PC Repairs Adelaide South? Compute Your World Provides PC Repair Adelaide, We Providing the cheapest parts, Best quality computer repairs. if you have any Technical Issues in your PC then Call us (08) 8461 9552 for services across Adelaide.. If you are facing another an Macbook Repairs issue you may feel free to make us call (08) 8461 9552 at any time as our department is open at around the clock to help you in resolving the issue in no time, Macbook keyboard not working related solution..
​Looking for iphone 8 Screen Replacemen​t near you? Compute Your World is Apple Authorized Service Providers? Get great prices on iPhone 8 replacement parts. Apple has finally released the new and improved iPhone 8 and iPhone 8 Plus! Even with an upgrade, replacing iphone 8 Screen. If you have any issues in your iphone 7 then Call us (08) 8461 9552 for services across Adelaide. If you Need Smartphone Repairs in Adelaide? Compute Your World specializes in any kind of mobile phone, iphone, ipad repairs and services in Adelaide. Call us (08) 8461 9552 for Smartphone Repairs Adelaide South any time 24/7. https://www.computeyourworld.com.au/services/phone-tablet-repairs. Find the best Computer Shops Near Me in Adelaide? Find The Compute Your World in adelaide south, We have a retail shop full of hardware and accessories store. Buy Computer Hardware, Cheap Computer Parts and computer service center. if you have any issues in your computer then call us (08) 8461 9552 any time 24/7. Find the best iphone Screen Repair Near Me? We fix almost anything! iPhone Screens, Batteries, Cameras, Charge Ports and more. visit Compute Your World Resolved iphone screen issues call us (08) 8461 9552 any time 24/7 we can Help you. https://www.computeyourworld.com.au/services/phone-tablet-repairs. ​Do you need Computer Repairs​ and Search for computer service centers & repairers to upgrade your computer or laptop in Adelaide. 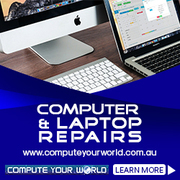 Find the Compute Your World is Providing the cheapest parts, quality computer repairs, If you have any Technical issues then call us (08) 8461 9552 any time 24/7.​ https://www. Need you Computer Repairs Adelaide? Compute Your World provides technicians in Adelaide are both highly experienced and skilled in PC, MAC, Laptops, Computer and Data Recovery. Call us (08) 8461 9552 today to make an appointment with an expert computer technician. https://www.computeyourworld.com.au/. If you Looking for Laptop Repairs Near Me in Adelaide South? Get low-cost computer repairs Compute Your World Provides laptop repairs for more information Call us (08) 8461 9552 any time 24/7. We know when your computer, PC or laptop breaks you need a computer repair near me. https://www.computeyourworld. Laptop is one of the widely used device used by the billions of users across the world. It’s easy to handle and carrying features make it best suitable for use. One can without much of stretch use laptops but sometimes users also confront technical issues while using.Compute Your World provide Laptop Repair Center Adelaide South Call us (08) 8461 9552 For any technical issues. Find the best Personal Computer Repairs Near Me? Compute Your World is the best option for Near you call us (08) 8461 9552 any time for best services in adelaide. Many people are now using online computer repair services for remote virus removal. https://www.computeyourworld.com.au/. ​Need you Mobile Phone Repairs Morphett Vale​? Compute Your World provides Mobile Phone Repairs for all major brands including Apple, Samsung. Call us (08) 8461 9552 today to make an appointment All Areas Mobile Phone Repairs and Sales.​ https://www.computeyourworld.com.au/. If you have Need Computer and laptop parts in adelaide south.Compute Your World Providing the cheapest parts, quality computer repairs and Computer Stores Adelaide. if you have any issue in your laptop then call us (08) 8461 9552 any time 24/7. So, don’t waste time contact our Edwards town centre as soon as possible and we will be ready to help you. If you want to Compare gadget insurance quotes and secure cover for your mobile phone, laptop, tablet & other gadgets. See the benefits of a cheap gadget policy today. Compute Your World provide Mobile Gadgets Insurance Call us (08) 8461 9552 any time 24/7. https://www.computeyourworld.com.au/services/mobile-gadgets-insurance. Computers can cause many different problems and at times it can be difficult to identify where the problem has exactly occurred. We at “Compute Your World” provide top notch computer repair services in Coromandel east and in other parts of Australia to fix such problems as soon as we can. To help you solve this we have a team of experienced people who work on understanding and identifying the problem and creating a solution for such problems daily. 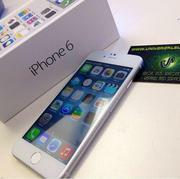 Best Service & Repairs for iPhones, iPads in adelaide south. Visit the our official site Compute Your World Provides iphone repairs service find iphone repairs near me. find the best iphone service center Call us (08) 8461 9552 any time 24/7..
Samsung Mobile Service Center in Adelaide, Compute Your World is one of the top Mobile Phone Repair & Services in adelaide south. Call us (08) 8461 9552 for samsung phone repair center adelaide south any time 24/7.. Looking for Laptop or Pc Repair? Compute Your World provide Pc Repair Adelaide. if you have any hardware issues then Call us (08) 8461 9552 today to make an appointment with an expert computer technician. https://www.computeyourworld.com.au/. Find cheapest and best mobile phone repairs ads in our Computer & Phone Repairs category. Compute Your World provide Mobile Phone Repairs Morphett Vale.Call us (08) 8461 9552 for services your Mobile Phone..
Toshiba is one of the fastest growing service provider in adelaide giving the best services to the user.Compute Your World provide Toshiba Computer Repair Adelaide. If you have any query then Call us (08) 8461 9552 any time any 24/7.. Need you Hp computer Repairs in adelaide south. Compute Your World provide HP Computer Repairs Park Holme, full range service for HP laptops upgrades and repairs in adelaide south.Call (08) 8461 9552 for HP Computer Repairs any time 24/7..
Australia free ads for Computer services, Australia, Computer services free ads Australia, Computer services for sale Australia, Computer services to buy in Australia. Find on this page free classifieds for Computer services in Australia. This listing includes classifieds for sale and to buy in Australia. FREEADSAustralia Australia offers you a platform to post free advertisements or classifieds for Computer services in Australia. FREEADSAustralia helps you search, find buy, sell, rent or hire in various categories like apartments, goods for sale, local services, cars , jobs and many more in Australia. If you posted an advertisement in category Computer services of FREEADSAustralia Australia before please use Edit my ads button to change or cancel your ad. Computer services Australia ads Australia, Computer services classifieds Australia, Computer services free ads Australia, ads for sale Australia, ads to buy Australia, FREEADSAustralia. Find here ads for sale, to buy and rent in Australia. Goods for sale in Australia, vehicles for sale in Australia, Australia real estate for sale, Australia property for sale, property for rent in Australia, business ads in Australia, Australia business classifieds, services in Australia, Australia services ads, jobs in Australia, pets for sale in Australia, Australia dating, Australia cars for sale.